Trim:Eco w/Navigation, Sunroof, 42Mpg, Only 11k Miles! Like New, Corolla LE Eco, NAVIGATION, POWER SUNROOF, REAR CAMERA, BLUETOOTH, Only 11k Original Miles, One Owner, CARFAX / AUTOCHECK and STATE CERTIFIED with BUYBACK GUARANTEE, Automatic, Loaded w/ Power Options, STEERING AUDIO CONTROLS, KEYLESS ENTRY PUSH START, CLIMATE CONTROL, Alloy Wheels, STILL UNDER FULLY TRANSFERABLE FACTORY DRIVETRAIN WARRANTY...Toyota hasn't rocked the boat too much in the creation of its eleventh-generation Corolla. It seats four people comfortably. It gets decent fuel economy. It's easy to drive. It's (predictably) reliable. It's safe. And hey, it sort of looks good now. The new Corolla is actually a whole lot nicer than its predecessor. The Corolla is easy to live with, including a rethought interior that's designed to be functional above all. Despite having a relatively high beltline and tall dash setup, it looks good inside, with totally acceptable plastics and cloths used throughout. The front seats are perfectly comfortable and decently supportive, and for folks confined to the rear seats, a full 5.1 inches of rear seat legroom have been added for 2014 and newer models. It's a pretty good place to be. This is a proven reliable, solid investment which will make an excellent commuter, small family use sedan. As with any other of our vehicles, you may have this one pre-inspected by your trusted mechanic prior to purchase. We strive to only keep high quality vehicles with low mileage offered at the most competitive price. We are a family run independent Dealership with over 30 years of experience serving families, and our low overhead translates to lower prices for our customers. Each of our pre-owned certified vehicles goes through a 108 point check and Virginia residents receive a brand new State Inspection. Visit us online at www.lynnhavenmotors.com to see more pictures of this vehicle, or call us at 757-425-9300 today to schedule your test drive. 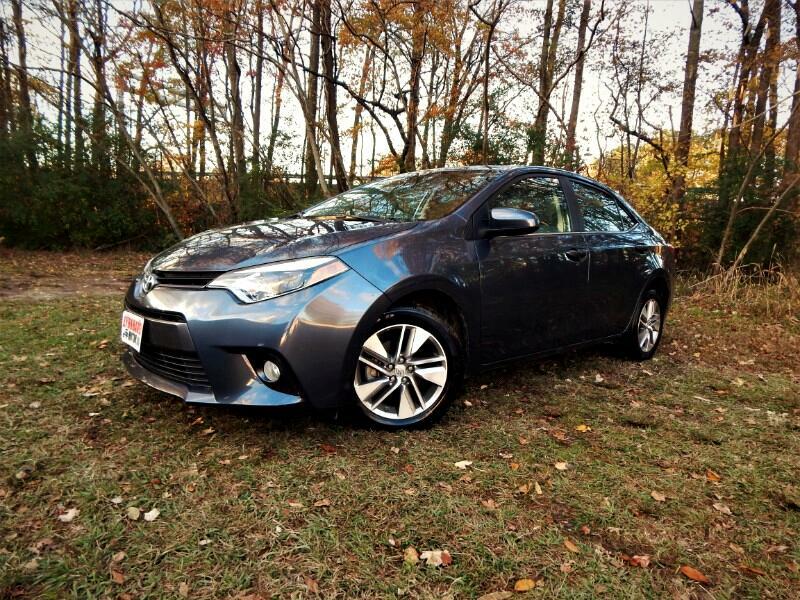 Vehicle Inquiry for 2015 Toyota Corolla Eco w/Navigation, Sunroof, 42Mpg, Only 11k Miles! Trim: Eco w/Navigation, Sunroof, 42Mpg, Only 11k Miles!